I'm trying to get the density of intersection points along their related ellipse. 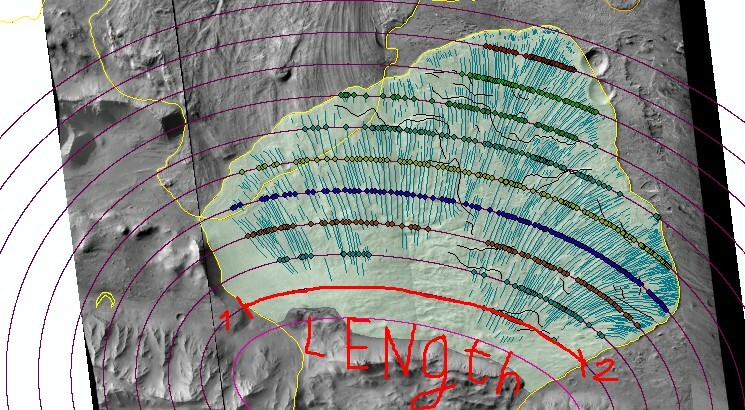 What I'm missing is the length of the arc of the ellipses comprised in between the yellow polygon (which is a landslide deposit). I would need help about step by step algorithm to calculate the distance between two points along a curved line. Polygon_1 - random polygon (green color on the images). Polygon_2 - polygonal ellipses (red color on the images). Use tool Delete Identical with data from previous step Line_2 with fields parameter as SHAPE. (There are a lot of identical lines after previous step). Use tool Multipart To Singlepart to convert Line_2_Erase_2. Output data: Line_2_Erase_2_singlepart. Use tool Unsplit Line to convert Line_2_Erase_2_singlepart. 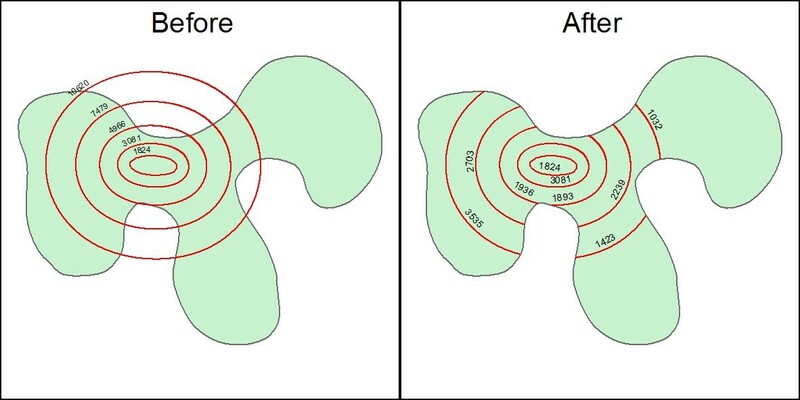 If your vector data stored in geodatabase - use values in field SHAPE_Length as length of your curves. Not the answer you're looking for? Browse other questions tagged arcgis-desktop intersection arcgis-10.4 length or ask your own question.